Synopsis: “Aku Bukan Tomboy” is a story of a tomboy (Scha Alya) who was raised by her single-parent father after the loss of her mother when she was just a child. Deep down inside, she has crushes on guys and fancies them, just like any other girl. Unknowingly, she is in a love triangle with two guys – Harry (Shaheizy Sam) and Burn (Syamsul Yusof). Sinopsis : Aku Bukan Tomboy mengisahkan tentang seorang gadis tomboy yang dibesarkan oleh bapanya selepas ibunya meninggal dunia ketika kecil.Jauh disudut hati gadis tomboy ini, dia menyimpan perasaan hati kepada lelaki seperti perempuan normal lain.Tanpa disedari, dia berada dalam percintaan tiga segi diantara dua jejaka iaitu harry dan Burn. 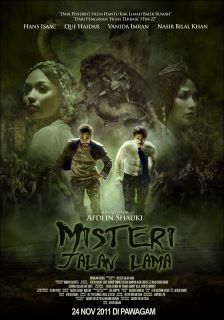 Cast: Syamsul Yusof, Scha Al-Yahya, Shaheizy Sam, Sheera Iskandar,Salina Saibi Harun Salim Bachik. Synopsis: An exceptional story of brotherhood. Indra and Ilya are on their way home to their home village for the funeral of Iskandar, their father. Indra is the biological son of Iskandar, who is an illegal racer; gambles and owes money to loan sharks who are hunting him. Meanwhile, Ilya is the adopted son who was given to Iskandar when he was passing through an old road 25 years ago. Ilya helped his father build his career and his conduct as a ‘better’ son among the two is the cause of Indra’s estrangement from his family. However as they make their way to the village, they use an old road and gets transported into another world, filled with mystical creatures. Sinopsis : Dua beradik, Indra dan Ilya dalam perjalanan pulang ke kampung halaman mereka untuk urusan pengebumian ayah mereka, Iskandar. Indra adalah anak kandung Iskandar yang menjadi pelumba kereta profesional, tetapi kuat berjudi dan seringkali meminjam daripada ah long. Hidupnya kini diburu gangster. Manakala Ilya pula adalah anak angkat Iskandar yang diberikan oleh ‘seseorang’ ketika Iskandar melalui sebatang jalan lama 25 tahun dahulu. Ilya seorang anak yang baik, yang banyak membantu Iskandar membina kerjayanya. Iskandar juga sangat sayangkan Ilya. Ini jugalah yang menjadi punca ketidakpuasan hati Indra, lalu membawa diri jauh daripada keluarga.Pada hari kematian Iskandar, buat pertama kalinya selepas 15 tahun, Indra ke pejabat ayahnya untuk mengambil surat wasiat yang ditinggalkan untuknya. Indra diminta membawa Ilya pulang, kerana Ilya tidak tahu memandu. Ketika di lebuhraya, Indra dikejar oleh gangster. Lalu Indra mengambil keputusan menggunakan jalan lama.Ketika melalui jalan lama, tidak semena-mena mereka memasuki ‘dunia lain’. Pelbagai peristiwa pelik dialami mereka sepanjang berada di dunia tersebut. Daripada diganggu oleh makhluk mengerikan hinggalah kepada sesuatu yang mengasyikkan. Synopsis : Set after Bella (Kristen Stewart) chooses Edward Cullen (Robert Pattison) over Jacob Black (Taylor Lautner) in “Eclipse”, Bella marries Edward where they spend their honeymoon on a private island, called Isle Esme, off the coast of Brazil. Two weeks into their honeymoon, Bella realises that she is pregnant with a half-vampire child and that her condition is progressing at an unnaturally accelerated rate. After contacting Carlisle, who confirms her pregnancy, she and Edward immediately return home to Forks, Washington. Edward concerned for Bella’s life and convinced that the foetus is a monster as it continues to develop with unnatural rapidity, urges her to have an abortion. However, Bella feels a connection with her unborn baby and refuses. When the baby is born, the Quileute wolf pack decides that Bella’s child is a danger and threatens to kill the child, forcing Jacob Black to leave the pack and starts his own. Synopsis: The sequel to “Happy Feet,” the Academy Award®-winning animated smash hit, “Happy Feet Two” returns audiences to the magnificent landscape of Antarctica in superb 3D. Mumble, The Master of Tap, has a problem because his tiny son, Erik, is choreo-phobic. Reluctant to dance, Erik runs away and encounters The Mighty Sven-a penguin who can fly! Mumble has no hope of competing with this charismatic new role model. But things get worse when the world is shaken by powerful forces. Erik learns of his father’s “guts and grit” as Mumble brings together the penguin nations and all manner of fabulous creatures-from tiny Krill to giant Elephant Seals-to put things right. 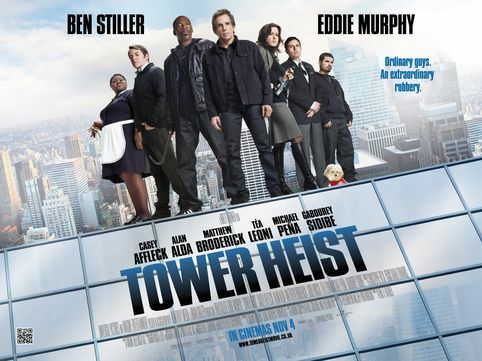 Synopsis: When a group of hard working guys find out they’ve fallen victim to a wealthy business man’s Ponzi scheme, they conspire to rob his high-rise residence. Synopsis: Yee (Lee Sinje) is an ordinary woman living a mundane life. Over the years, she has been bothered by a repeated dream, in that dream she stands alone on wasteland with a doubt of the mystery being buried underneath. Yee’s nightmares are getting more and more sophisticated. Sometimes she finds her bedside is stained with mud in the morning. She can’t help thinking that she would really walk on that wasteland and kill someone there while sleepwalking… As Yee crosses path with Sergeant Au who is investigating the case of her missing ex-husband, Yee tells all the details and confesses that she would murder in her sleep. Following the clues hidden in Yee’s dream, Sgt. Au leads her team to the crime scene, however, the body claimed to be buried underneath is no where to find. Synopsis: Arriving by boat at her family’s Louisiana lake island cabin, Sara and her friends quickly strip down to their swimsuits for a weekend of fun in the sun. But when star football player Malik stumbles from the salt-water lake with his arm torn off, the group realizes they have to get Malik to a hospital on the other side of the lake. As they set out in a tiny speedboat, the college friends discover the lake has been stocked with hundreds of massive, flesh-eating sharks! 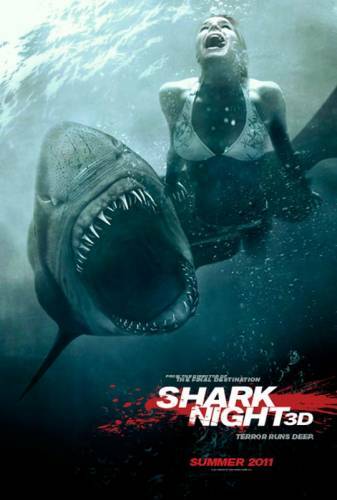 As they face one grisly death after another, Sara and the others struggle desperately to fend off the sharks, get help and stay alive long enough to reach the safety of dry land. Synopsis : In a private, wealthy community, priority is placed on security and no exception is made for the Miller family’s estate. Behind their pristine walls and manicured gardens, Kyle (Nicolas Cage), a fast-talking businessman, has entrusted the mansion’s renovation to his stunning wife, Sarah (Nicole Kidman). But between making big decisions and keeping tabs on their defiant teenage daughter (Liana Liberato), Sarah often finds herself distracted by a young, handsome worker (Cam Gigandet) at their home. Nothing is what it seems, and it will take a group of cold-blooded criminals led by Elias (Ben Mendelsohn), who have been planning a vicious home invasion for months, to bring the Miller family together. When they storm the manor, everyone is tangled up in betrayal, deception, and temptation. Kyle, Sarah and Avery will take the ultimate risk to make it out with their lives and their family intact. Synopsis: An original story, breathtaking animation, beloved characters and award-winning music set the stage for “The Lion King,” a Disney classic that follows the adventures of Simba, the feisty lion cub who “just can’t wait to be king.” But his envious Uncle Scar has plans for his own ascent to the throne, and he forces Simba’s exile from the kingdom. Alone and adrift, Simba soon joins the escapades of a hilarious meerkat named Timon and his warmhearted warthog pal, Pumbaa. Adopting their carefree lifestyle of “Hakuna Matata,” Simba ignores his real responsibilities until he realizes his destiny and returns to the Pride Lands to claim his place in the Circle of Life. The all-star vocal talents-including-plus the rip-roaring comedy and uplifting messages of courage, loyalty and hope make this a timeless tale for all ages.